How to insert a shape in a Word document? On the ribbon menu, under the tab Insert, within the group illustrations, click icon Shapes. 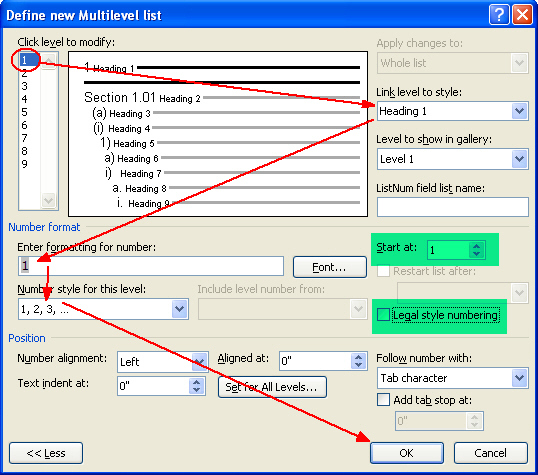 A drop-down list appears with various shapes. Click a shape, the mouse cursor changes to a ‘+’ sign. Draw the shape in your document. Resize the shape by dragging the resize handles. Select the shape in the document. Click tab Format under Drawing Tools. Select a fill color from the palette. Click ‘No Fill’ to remove fill color. Select an outline color for the shape. Click ‘No Outline’ to remove the outline color of the shape. Select a shape and right-click. From the right-click menu, select option Add Text. How to change a shape? Click tab Format under Drawing Tools from the ribbon menu. Within group Insert Shape, click Edit Shape. From the drop-down list, select option Edit Shape. On the ribbon menu, under the tab Insert, within the group illustrations, click Shapes. Press and hold the keys CTRL or SHIFT or CTRL+SHIFT and click the shapes one by one. Right-click and click Group and the click Group from the sub menu. Within the group Arrange, click Rotate. From the drop-down menu, select any of the options or click ‘More Rotation Option’. In the Layout dialog box, under the tab Size, enter the angle of rotation. Select text inside a shape. Within the group Text, click Text Direction. On the ribbon menu, click the tab Format under Picture Tools. Within the group Arrange, click icon Rotate. From the drop-down list, select an option to rotate the picture. To provide a custom angle for rotation, select “More Rotation Options…” and provide an angle under section Rotation. How to add caption to a picture? On the ribbon menu, under the tab References, within the group Captions, click Insert Caption. Caption dialog box appears. Enter a caption for the picture in the Caption field. Follow step 3 and 4 of the above procedure. Within the group Picture Styles, click Picture Border. From the drop-down, select the border color. On the ribbon menu, under the tab Home, within the group Paragraph, click the down arrow button beside Borders. A drop-down list appears. Select option Borders and Shading. Borders. Borders and Shading dialog box appears. Under the tab Borders, select border type as Box. Select color and width of the border lines. Press the ALT key and then press keys J P S O one after another. Select the border color and press ENTER. How to fix position of an image in a Word document? Select and drag the picture to the line in the document. On the ribbon menu, click the Format tab under Picture Tools. Under Format tab, within the group Arrange, click Wrap Text. Select option In Line with Text from the drop-down list. While keeping the picture selected, press the ALT key and then press the keys J P T W I one after another. 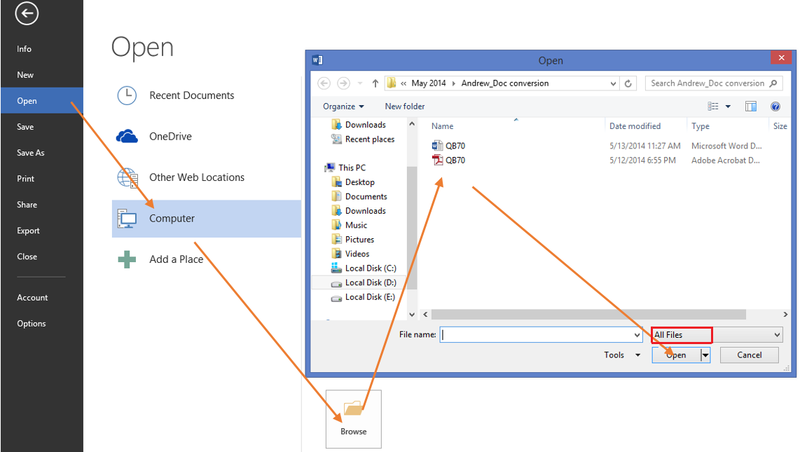 On the ribbon menu, under the tab Insert, within the group Illustrations, click Pictures. The Insert Picture dialog box appears. Browse and select the picture from your system. Click Insert. Word inserts the picture in the cursor position. Place the cursor in the document where you want to insert the picture. Press the ALT key and then press keys N and P one after another. The Insert Picture dialog box appears. Follow steps 3 and 4 of the above procedure. Place mouse cursor in the document where you want to insert the picture. On the ribbon menu, under the tab Insert, within the group Illustrations, click Online Pictures. Insert Picture dialog box appears. You can either search free clip art pictures in Office.com (royalty free) or search images in entire Internet world using Bing search engine. Select an image and click Insert. You can import content from a Word document to a PowerPoint presentation without much difficulty. This saves you from significant manual effort otherwise required to copy paste content from Word to PowerPoint. The procedure is pretty straight forward too. Click File and then click New (or CTRL+N) to create new presentation. On the Insert tab, within group Slide, click New Slide. A drop-down appears. Select Option Slides from Outline…from the drop-down list. You are done. Important: Before you import a Word document to PowerPoint, make sure that the document is properly formatted. 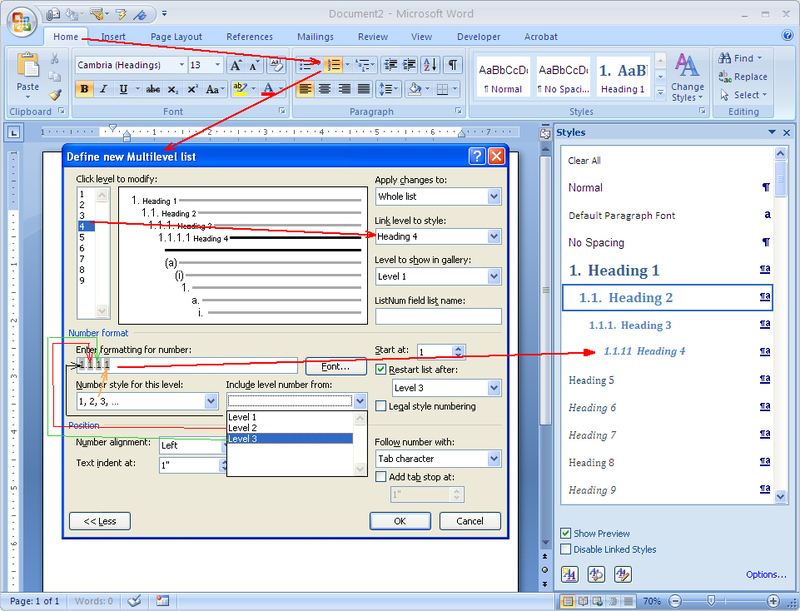 If you are not using any heading styles, PowerPoint places each paragraph in individual slides. Therefore, content should be in single paragraph to find a place in single slide. If you are using heading styles (heading 1, heading 2, etc. ), PowerPoint creates a new slide for each subsequent similar headings i.e. two subsequent Heading 1s will have two different slides in the presentation. The content that would appear along with a Heading 1 slide must have a heading style lower i.e. Heading 2, Heading 3, etc. The Recent Documents (FILEà Open à Recent Documents) in Word lists the most recent documents you have worked. Quite a handy feature, which enables you to quickly locate a recent document and saves you from the pain of browsing through folders. 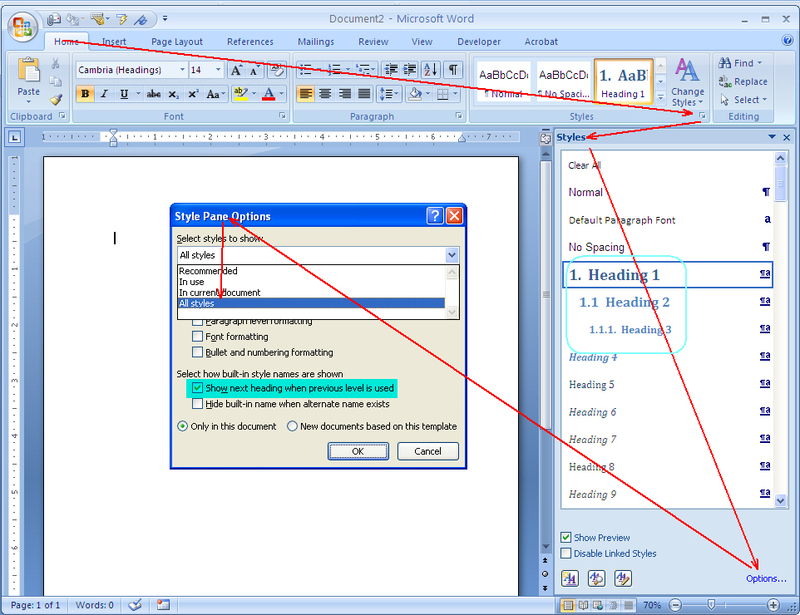 Word provides the flexibility to choose the number of recent documents to appear. However, if you don’t want people (with whom you share your system) to know the documents you are currently working, you can restrict Word not to display none of the recent documents. Click FILE and then select Options from the bottom of the menu. The Word Options dialog box appears. Click category Advanced from the left hand side pane. On the right hand side, under the section Display, reset the value to zero in the field “Show this number of recent documents”. How to add a new word to Word’s spell check dictionary? 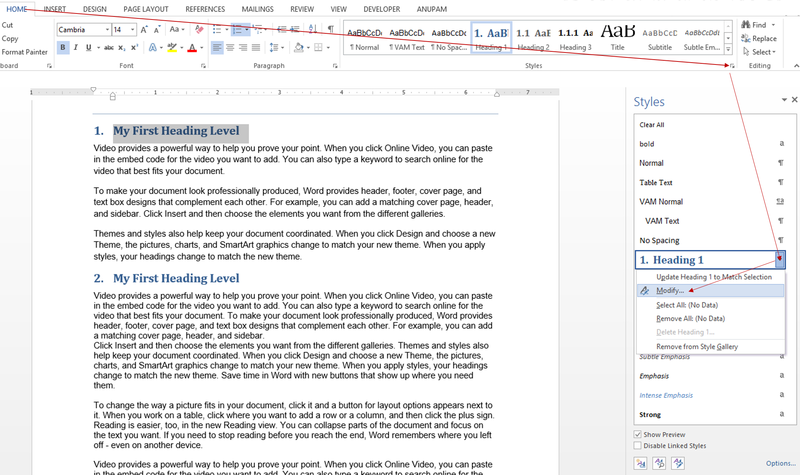 In the document, right click the Word with the wavy red underline. From the right-click menu, select option Add to Dictionary. The new word is added to the default dictionary. Click the File tab on the Ribbon menu. From the File menu, select Options. 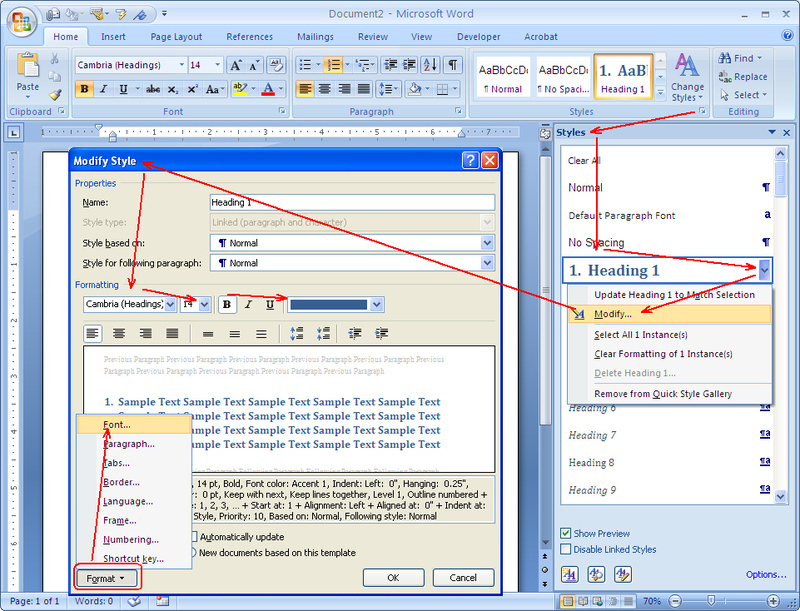 Word Options dialog box appears. On the Word Options dialog box, click category Proofing on the left pane. On the right hand pane, click the Custom Dictionaries button. Custom Dictionaries dialog appears. 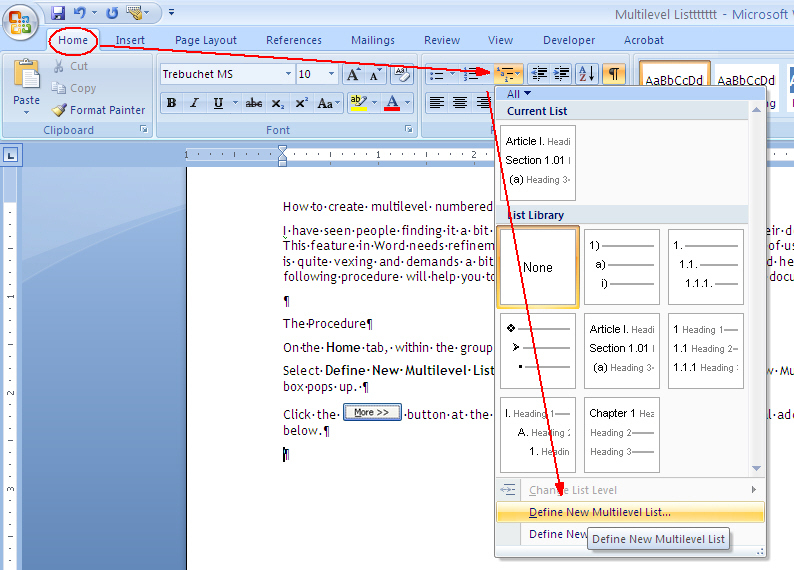 In the Custom Dictionaries dialog, click Edit Word List button. Type the new word in the Word(s) field. Then click Add. In the Custom Dictionaries dialog box (see step 4 of above), click the New button. Enter the name of the new dictionary. Click Save. After you have created a new dictionary as shown above using the Custom Dictionaries dialog box, select the dictionary and then select the language from the Dictionary Language list. 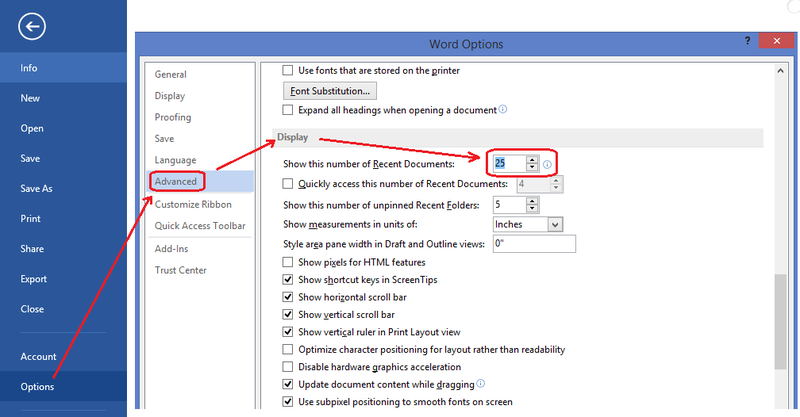 Word creates a new language category and places the custom dictionary under the language. If a language has multiple dictionaries listed in the Custom Dictionaries dialog box, and you wish to change the default dictionary for the language then select the custom dictionary and click the Change Default button.